It’s that time of the month again. We’re sharing what we’ve been up to with Experience God. This month, we’re learning about how God is love and our memory verse is from John 3:16. For God so loved the world that he gave his one and only son, whoever believes in him shall not perish, but have eternal life. It’s always seems like the messiest activity from Experience God is the one that the little guy enjoys the most. Why am I not surprised? 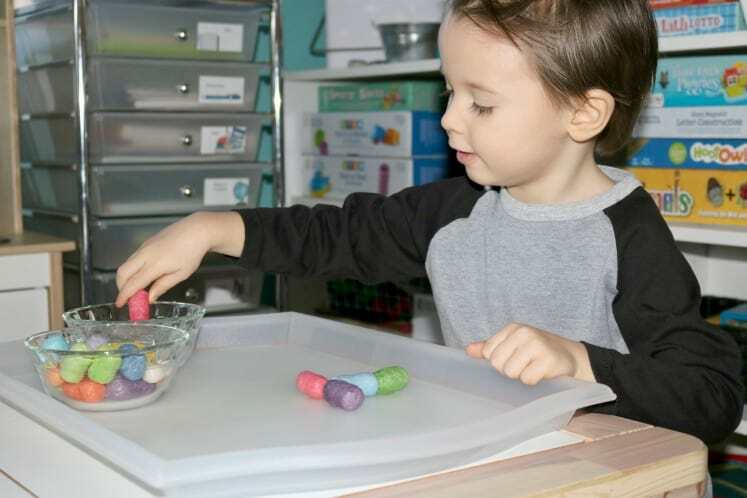 Last month, it was the Dust Creations Activity with sand and water. And of course this month, he’s all about the cornstarch noodles. 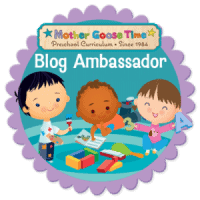 One of the awesome things that we get in each of our preschool curriculum kits from Mother Goose Time is Experience God, which is their Christian program. And you know what? The little guy and I definitely look forward to it every month. 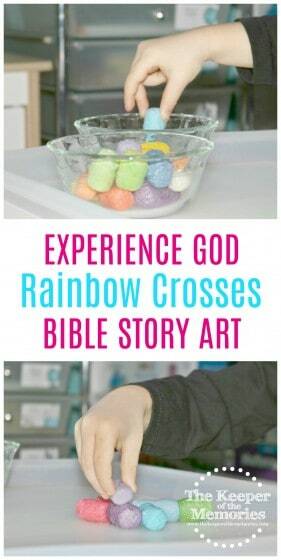 If you’re interested in making colorful crosses using cornstarch noodles with your little kids, then definitely keep reading. Ask: What gifts does God give us? God’s greatest gift to us is his son Jesus. Jesus gave us his life and died on the cross so that we could live with God in eternity. 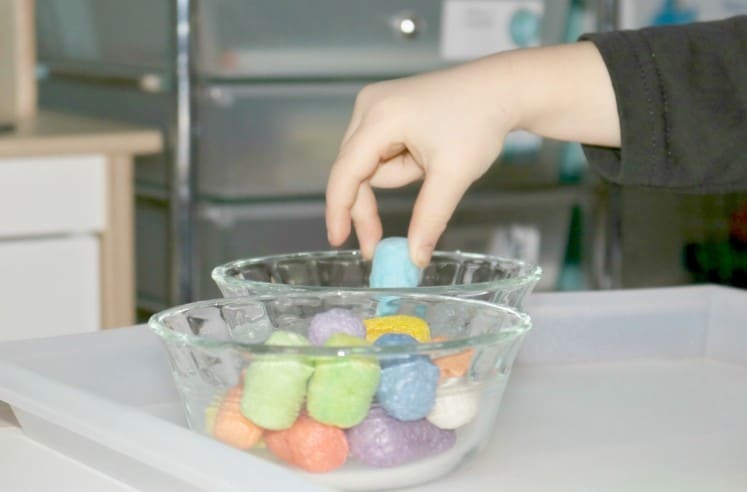 Assemble a gift box for each child and fill it with the cornstarch noodles. Give each child a gift. 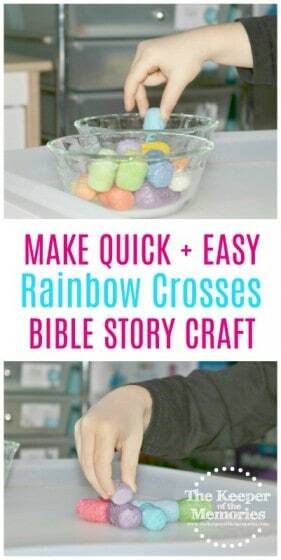 Invite children to press the end of the noodle on the damp cloth and stick it to another one to build a cross. Read the bible verse from Romans 5:8. Explain: God is love and he gave his one and only son to us that we could be with him forever. The little guy had a blast making his colorful cross from cornstarch noodles. I’m sure this is one of those activities that we’ll come back to sometime soon. 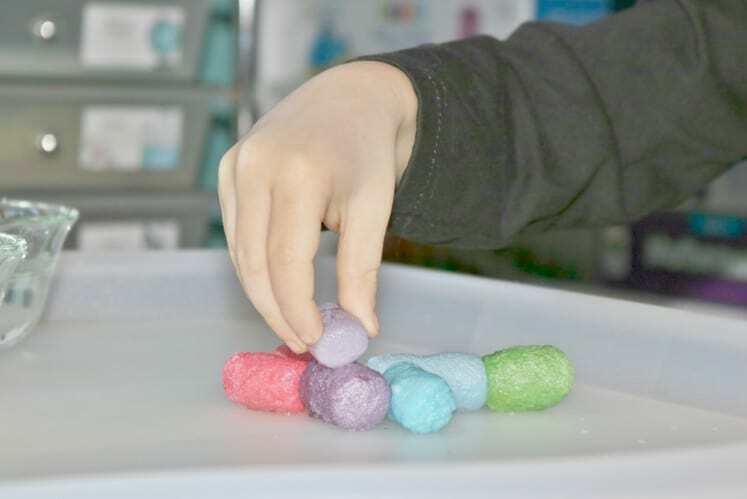 It was quick + easy and that makes this homeschool mama all kids of happy. So many fun activities. So little time. I’m sure y’all can relate. I totally wish that we could do them all, but we can’t. What we do is pick and choose the activities that work for us. And in reality, that’s the best thing about this curriculum. It’s so easy to do exactly that.